It’s already the spookiest time of year again! Even though celebrating Halloween has only just gained traction in Japan in recent years, department stores and supermarkets have gone all out with Halloween decorations, decking their shelves with ghoulish goodies. 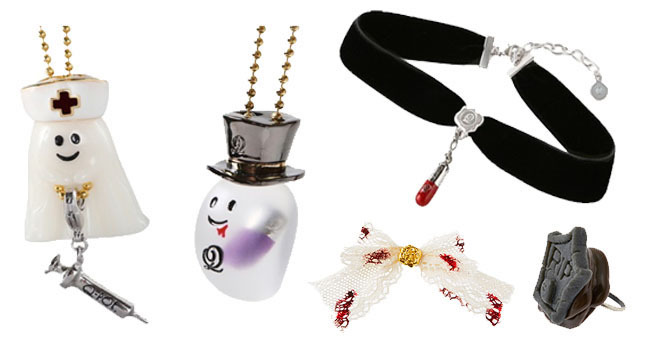 We want to sprinkle some Halloween spirit into your lives too, so we have collected some of the cutest and fun Halloween collections from Japan. Enjoy! While unfortunately there has yet to be an announcement on a Pokemon Go Halloween event, Pokemon Center has pulled out all the stops for their 2018 Halloween celebrations with the “We are Team Trick and Team Treat” collection. Featuring Pikachu and Mimikyu as the team leaders, you can also find Sylveon, Gengar and Sableye among the Pokemon featured in this series. Donning their best Trick-or-Treat wear, the super-cute Pokemon Center Halloween range includes adorable mascots, plushies and a variety of other eerie delights perfect for the Pokemon fanatic. 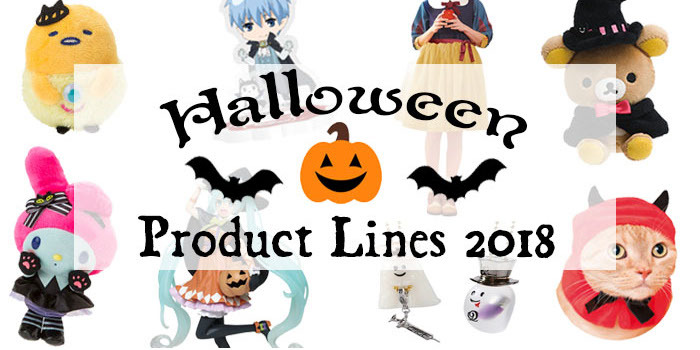 Sanrio has a huge cast of adorable characters and many favorites are participating in this year’s Halloween collection. 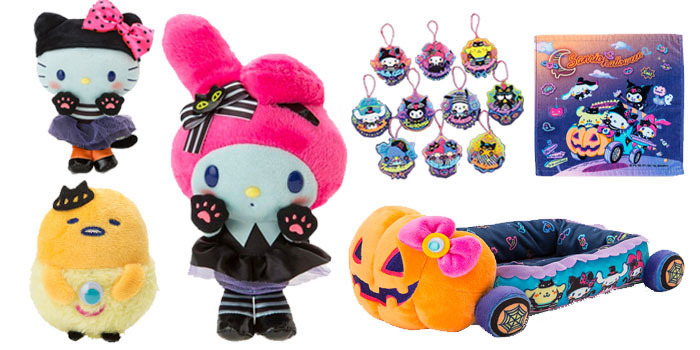 This year’s merchandise is an interesting take on Halloween with a neon-colored theme, featuring Hello Kitty, My Melody, Gudetama and friends Trick-or-Treating in a pumpkin-shaped car. With this irresistibly kawaii crew, we are expecting more treats than tricks from Sanrio this Halloween! 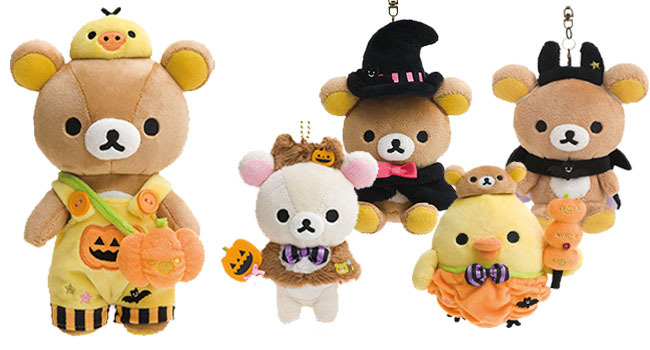 Even everyone’s favorite lazy bear Rilakkuma has made an effort this Halloween! San-x’s 2018 Halloween Rilakkuma collection is decidedly pumpkin-themed with Rilakkuma, Korilakumma, Kiirotori, and Chairokoguma wearing adorable orange outfits! 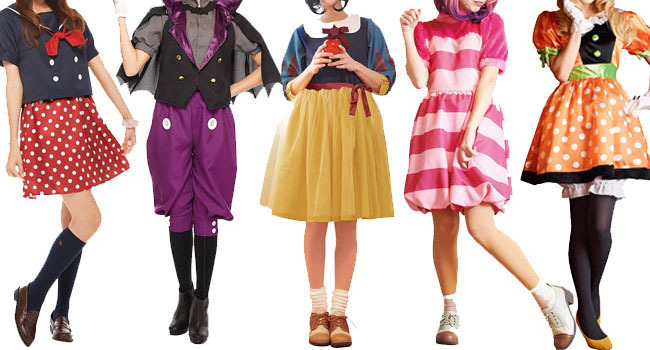 But there is one more twist to this adorable collection… they are all dressing up as each other! Now that’s some #squadgoals right there. 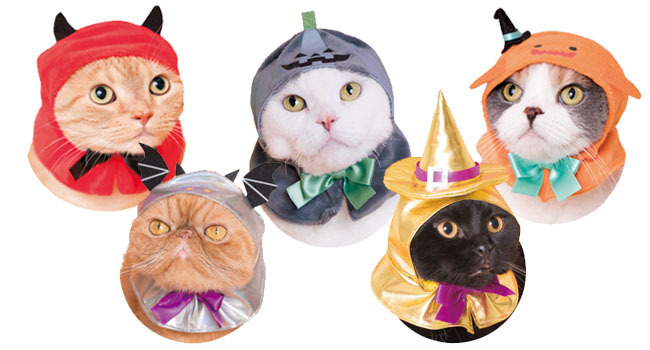 We all know that it is nigh-on-impossible to get a cat to wear a costume, but these little kitty-sized hats by capsule toy giant Kitan Club are SO adorable that it’s worth the struggle to get your moggy looking suitably spooky for Halloween this year. As with last year’s equally adorable collection, you can choose from Bat, Ghost, Jack-o’-lantern and Witch designs alongside the new addition of a Devil. Miku Hatsune 2nd Season Autumn ver. The virtual songstress is also participating in the Halloween festivities this year with her second figure of the Autumn season from Taito. 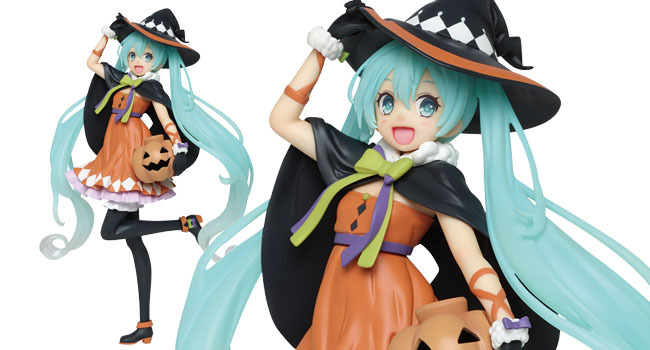 Looking as joyful as ever and ready to spread some Halloween cheer, this Autumnal version of Miku is sure to bring some color to your figure collection! Q-pot. is the company behind the innovative Q-pot. Cafe that serves delicious and intricate desserts in Harajuku. Alongside their culinary conquests, Q-pot. designs and develops high-quality accessories inspired by the sweet treats they serve. Their Halloween collection is coveted by many a Q-pot. fan and often sells out at lightning speed. But that is unsurprising considering how the Q-pot. team has produced a collection perfectly encapsulating both the spooky and sweet sides of Halloween. To celebrate the spookiest month of the year, J-World (Shonen Jump’s indoor theme park) is hosting a Halloween cafe event with the characters from Kuroko no Basuke transforming into cold-blooded, caped and fanged vampires! 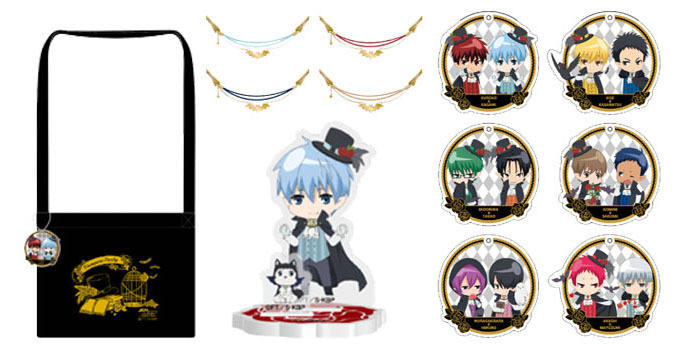 The cafe serves Halloween-themed dishes alongside exclusive merchandise depicting the Kuroko no Basuke crew as adorable chibi vampires. And of course, it wouldn’t be Halloween without a good costume! Being the birthplace of cosplay, it’s no surprise that Japan produces thousands of high-quality and unique costumes for Halloween each year. The kigirumi craze (oversize character onesies) hasn’t died quite yet in Japan, so if you feel like being cozier this Halloween, pajamas are also a valid option! Search for Japanese Halloween Goodies!